Osmocote 14-14-14 3-4 m 50 lb. 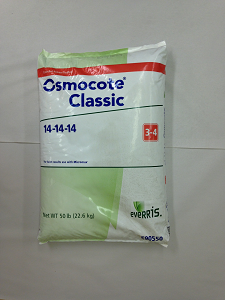 Osmocote Classic 14-14-14 50 lb. 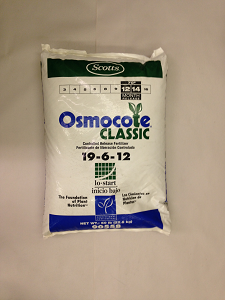 Osmocote Classic 14-14-14 is a 3 to 4 month controlled release fertilizer. 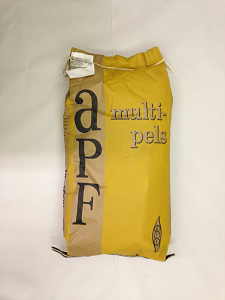 The ideal ratio for bedding plants, foliage and pot plant crops. See label for more information. 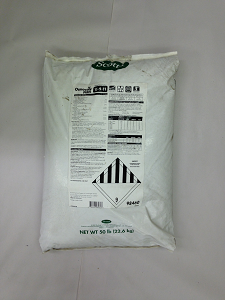 Osmocote Plus 15-9-11 12-14 m 50 lb. Osmocote Blend 18-7-10 8-9m 50 lb. Osmocote 19-6-12 LS 12-14m 50 lb.